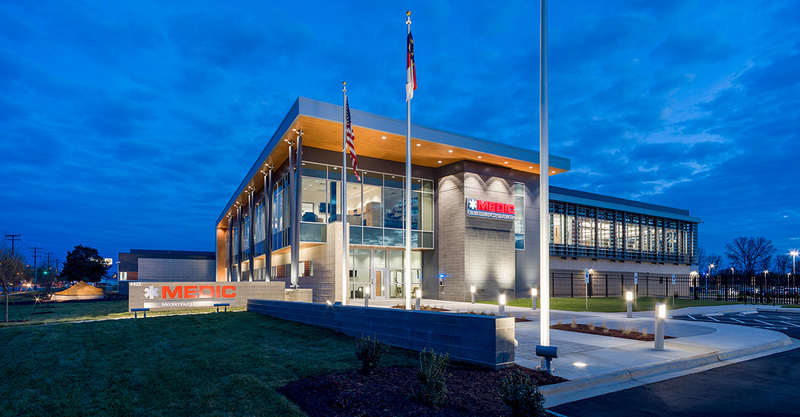 The new MEDIC Headquarters is a highly visible site along Wilkinson Boulevard, adding to the vitality of the area. 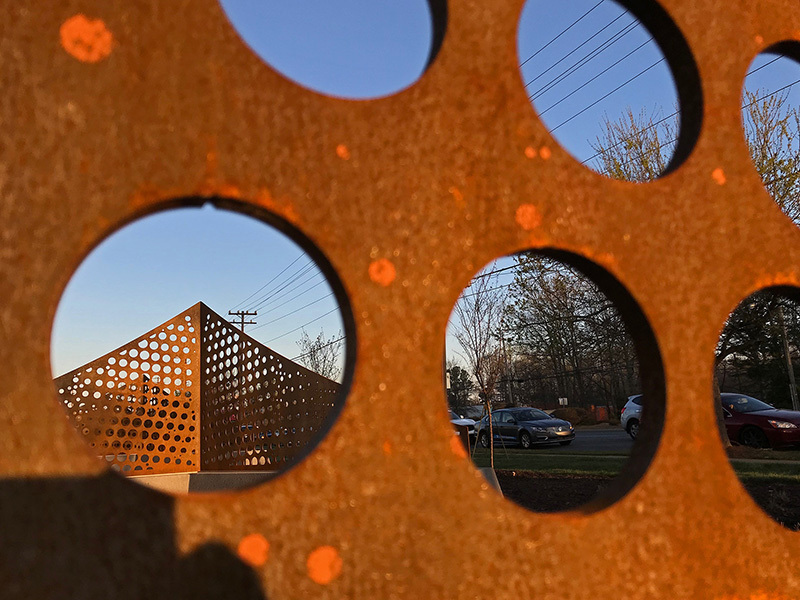 Its public art will become a community landmark celebrating the site. 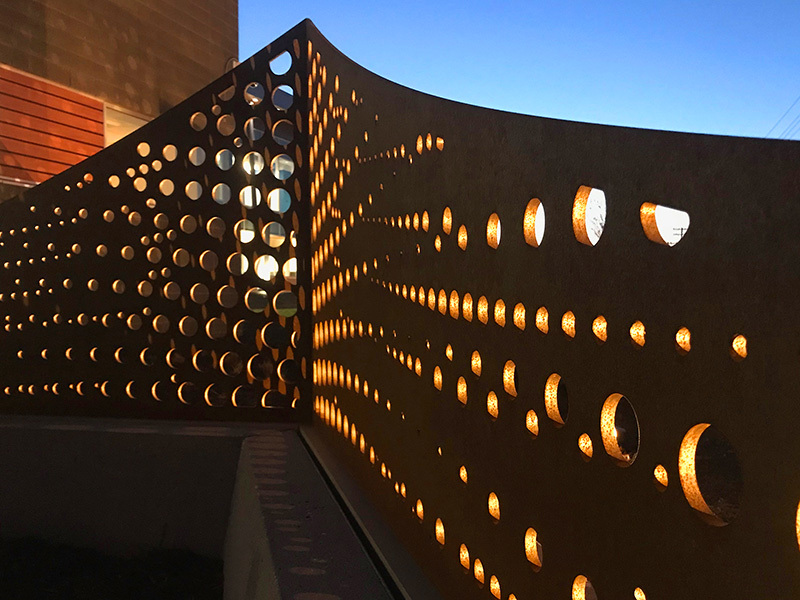 This project uses 11 cut metal screens placed on shaped concrete bases. The bases are influenced by the geometry of the MEDIC Shield. 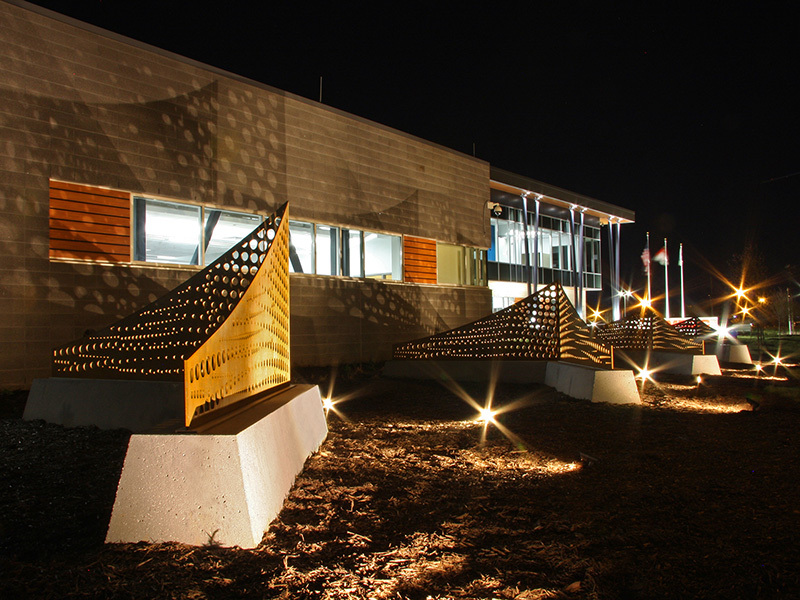 “Response” softens the site and humanizes the MEDIC Headquarters. It transforms the concrete barriers into sculptural bases for elegant screens. 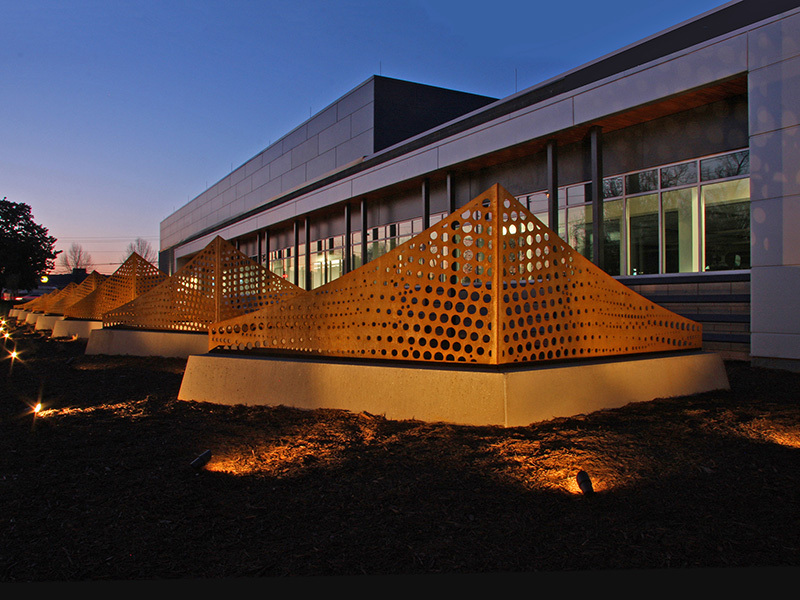 The patterning references the warp and weft of fabric and electrocardiographic vital signs, recalling the site’s history and its future use as a MEDIC Facility. 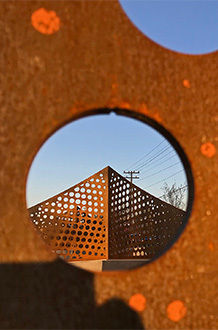 The dot patterning forms an upward, outward movement that is expansive. This expansive movement is uplifting, creating an optimistic gesture. 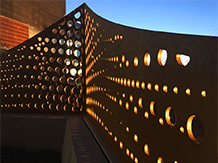 The screen patterning is interactive with light, shadow and the environment. 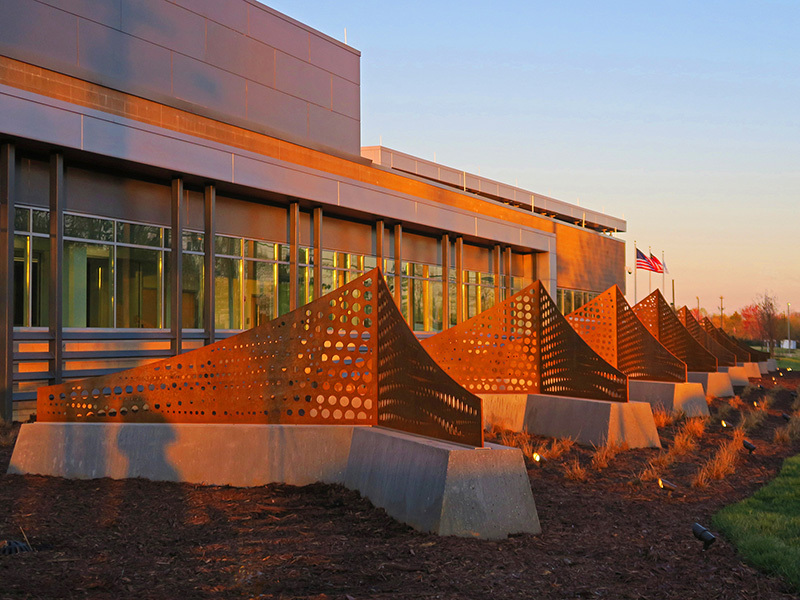 Landscape patterning reinforces sense of movement, complementing the site. 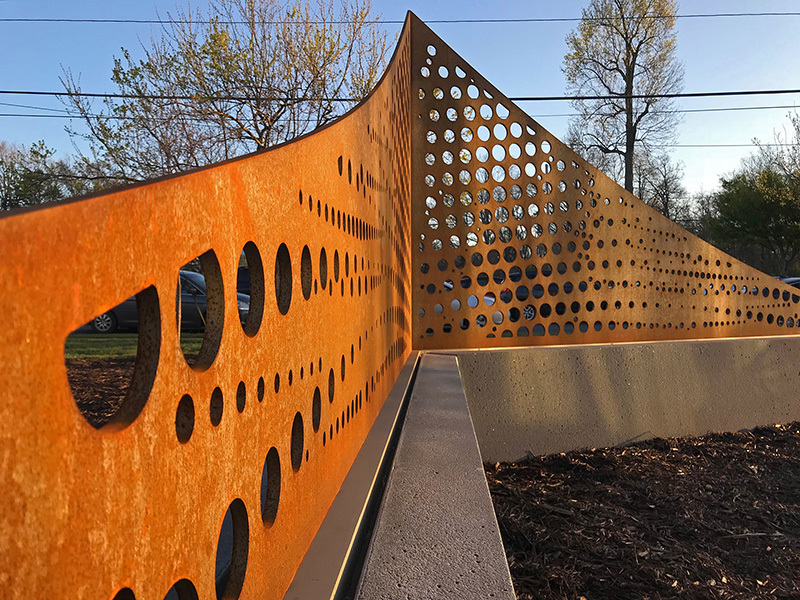 “Response” adds color, scale, and context to the site, creating a dynamic landmark form that can be appreciated by drivers and pedestrians alike. 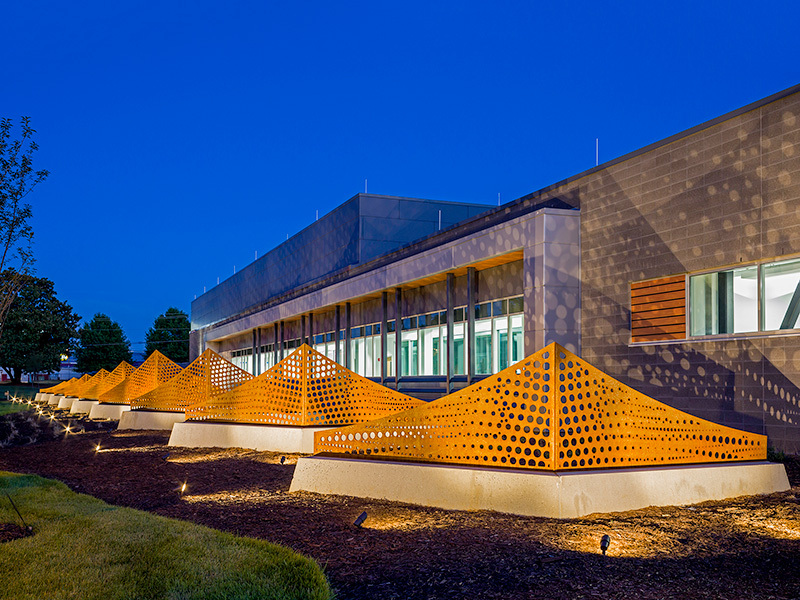 “Response” provides a sculptural approach to the site and its need for security. 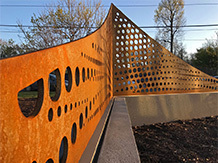 It provides an attractive landmark that reinforces the identity of the site. 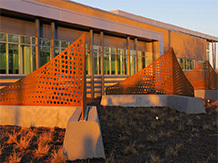 They integrate with landscape celebrating the seasons throughout the year. From inside the MEDIC Facility, the screens provide a playful cadence, beauty and sense of privacy. 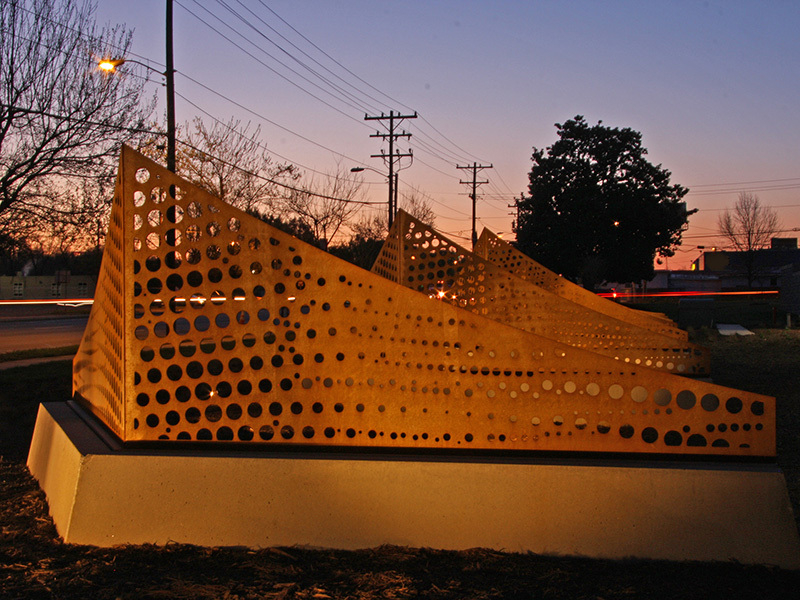 They provide color, form and a sense of movement animating the view.